"The new King Hall will ... be exposed to the light as law and lawmaking should be in a democratic government. The new King Hall will have dignity, stature, yet be open to all. 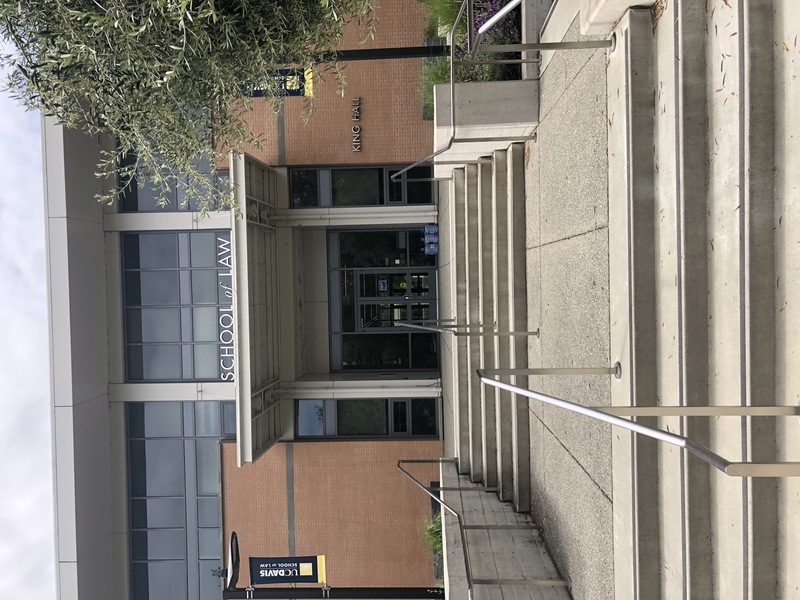 (And it will) keep alive the name -- and, most importantly, the vision -- of its namesake, Dr. Martin Luther King, Jr., whose dream of legal, social, and economic justice for all is the animating vision for the School of Law at UC Davis." The King Hall Expansion and Renovation broke ground on September 29, 2007, ushering in a new era in the School's history. Now completed, the School of Law now enjoys an aesthetically striking and functionally state-of-the-art facility that accommodates the latest technology and teaching techniques. The expansion represents a 29% increase of space or approximately 18,000 assignable square feet (ASF). After the expansion was completed in Summer 2010, the existing King Hall structure was renovated to expand the Mabie Law Library, improve traffic flow and aesthetics, and provide new reading rooms, group study areas, and enhanced student organization spaces. New space for collaborations with government agencies. The California Law Revision Commission is housed in the new wing, creating research opportunities for faculty and students.